Canals were one of the enablers of the "Industrial Revolution." Until superseded by railways, canals carried vast amounts of fuel, food, building materials, raw materials and finished goods to and from manufacturing centres, cities and rural backwaters. Railways robbed them of much of their trade, and they declined rapidly, but ironically many canals have survived, at least as industrial monuments, while railways have vanished. I'm a canal enthusiast. For me, as they burrow almost unseen through great cities, or meander through idyllic countryside, they offer a mix of industrial archaeology, the open air, recreation and ever-changing interest. Recently I've begun to volunteer for the Waterway Recovery Group, spending a happy, muddy week or two each July helping to restore the Monmouthshire and Brecon Canal in South Wales. This section of my web site records my experiences as a volunteer. It also includes some canalside walks and cycle rides. For my second week in July 2012 I stepped down to become a regular volunteer and enjoyed a three day diversion to help local volunteers on the Swansea Canal. Again, I enjoyed meeting and working alongside a fine crew of volunteers, in slightly better weather conditions. For the first time I volunteered to become Assistant Leader of this camp. I thoroughly enjoyed working with a great bunch of volunteers, despite atrocious weather. We moved one lock further along the canal, to Tredegar Lock. In July 2011 we worked on Drapers Lock, just north of Pentre Lane, Cwmbran. I also learned a few of the secrets of lime mortar, and discovered the lock-keeper's cottage fireplace. I had the satisfying job of digging out a long-disused overflow channel alongside Tyfynnon Lock. The aqueduct across Malpas Brook, north of Malpas junction and just beside the M4 motorway, was leaking, and it was our job to block the cracks in the aqueduct sides. We have walked the towpath of the Nottingham Canal several times. The Erewash Canal towpath is great for cycling. 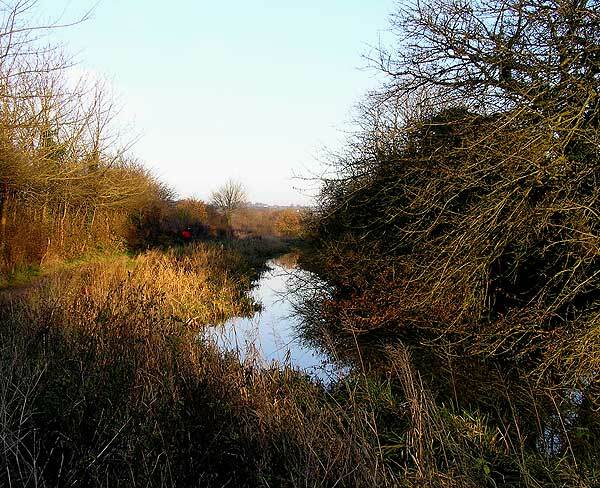 This canal will one day be reopened, but for the moment we share it with wildlife and walkers. An album of canal images.